You are here: Home / Events / NEW – We launched our free discount APP! 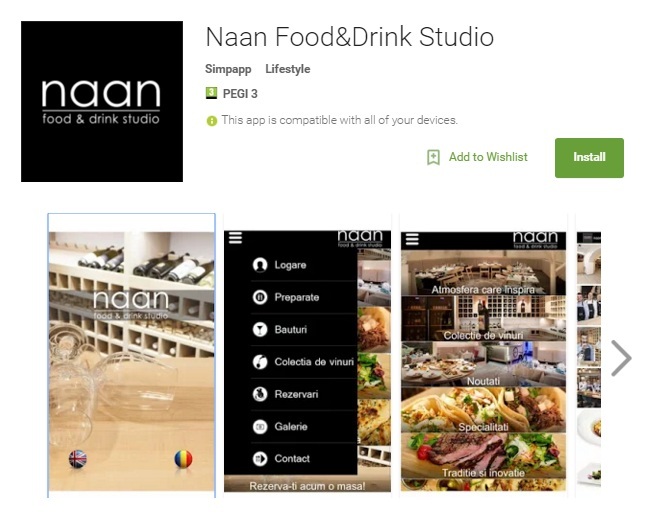 The free App Naan Food&Drink Studio offers all its members discounts. The App can be downloaded from iTunes (click here) and Google Play (click here). A discount of 2% is automatically provided to all the users that create an account through the app. To create an account, please access the section ”My account” from the menu. The member’s level will be automatically upgraded when reaching the above amounts. The level remains valid for 12 months and is extended only if the user maintains the same paychecks level. The option allows paying the paycheck without discount, and transferring the corresponding discount in RON in the user’s account, to be used for the next paychecks. The History section displays the available discount in RON, gathered until that moment. The option allows using the available discount (gathered through the above option). It can be used entirely or partially, by introducing the desired amount. The discount cannot be transfered to another user or account. To benefit from one of the options, it is mandatory to use the app before paying the paycheck. The default option is 1 – Get discount in RON. If the user does not use the app before paying the paycheck, the corresponding percent of discount is converted in RON and added to the account.